Yesterday, I caught wind of a little research project being conducted in our English II pre-AP classes over a little book called Things Fall Apart by Chinua Achebe. The teacher graciously allowed me to take a look at the assigment handout, which led students through a webquest, exploring various topics relating to Nigerian history, culture, and the author himself. On the assignment page, specific websites were listed for students to access depending on their topic. I saw a library-infiltration opportunity and pounced! 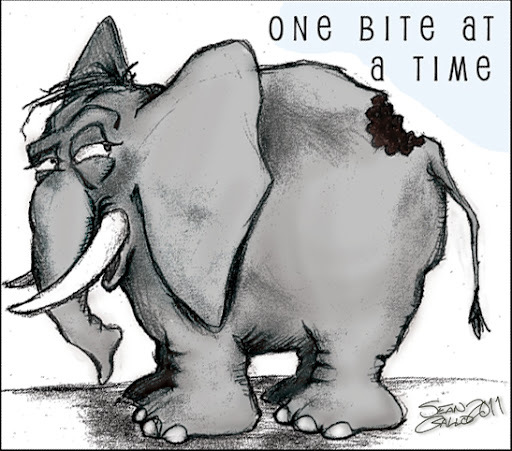 ﻿ You may or may not be familiar with the addage, “How do you eat an elephant?…One bite at a time!” This is the image that comes to mind when I am asked, “How do you teach high school students to be critical consumers of information, digital citizens, and researchers?” One “byte” at a time, friends. More often than not, research seems to be a “stop-and-do” unit of exhausting, lengthy days in the library or computer lab. Students and teachers spend days and weeks pounding away at research topics, meeting minimal requirements for number of sources, note cards, direct quotes, working toward completing a checklist of research tasks rather than engaging in transformative, authentic inquiry. Rather than pushing research back and back until afetr “the test” or reserving it until May when we’re eager to mark the days off of our calendars until summer, my proposition is this: let’s teach narrow and in depth–one bite at a time. 3. 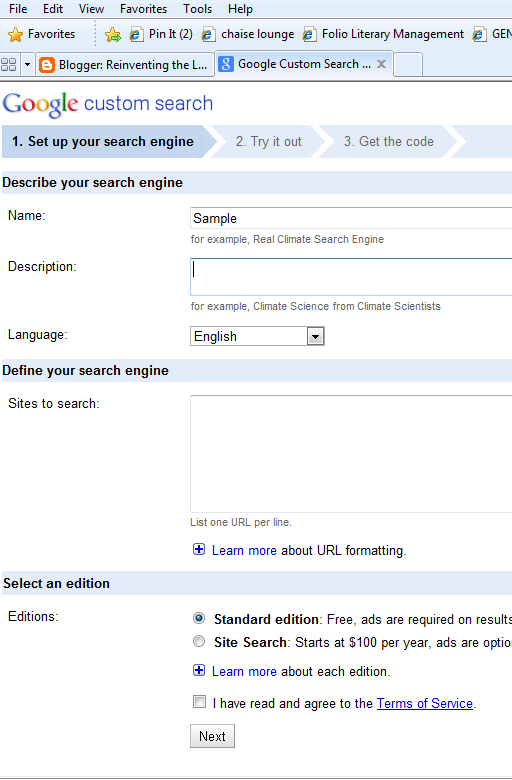 Give your search engine a title, description, and copy and paste websites that you have pre-selected as appropriate, credible sources for students to explore the topic in depth. You can choose various formats and looks for your search engine, turn off the advertisements since you are using it for educational purposes, keep track of analytics (statistics that show usage), and even embed the CSE into a blog or web page. 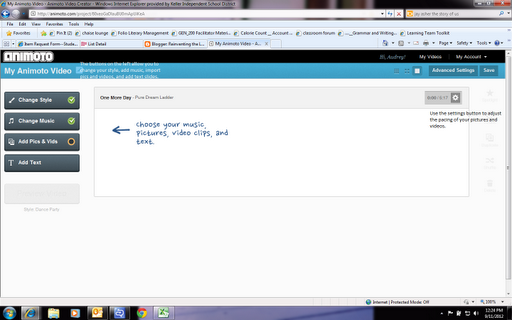 If you don’t want to embed, you can copy and paste the direct link to share with students. Sometimes we need to be a Momma-bird and do a little “pre-chewing” for our students to ease digestion (tired of the zoological metaphors??? Got it.) We can support students’ inquiry by providing them pre-selected sources so that they can then dedicate their attention to narrowing the focus of their inquiry, effective note-taking, documenting sources, synthesizing information, or presenting their understandings about the topic. Would we want to give them a CSE everytime they do research? No, they need to learn to take the first bite, but perhaps we give them support in another area instead. Once they have all the smaller pieces mastered, then they can fully engage in the transformative power of inquiry-driven research…and fully enjoy the elephant in its entirety (couldn’t help it that one). 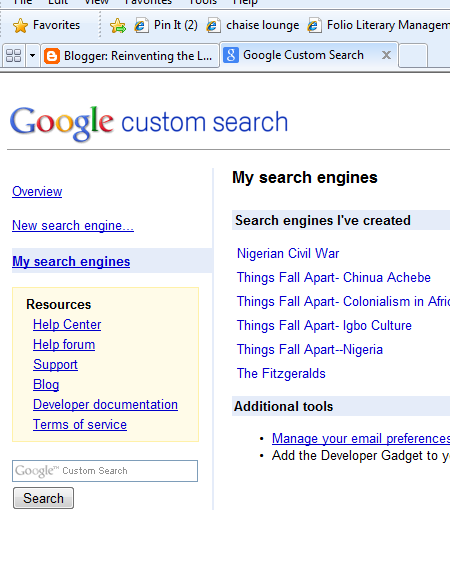 This entry was posted in google, research, tech tuesday. Book Summary: Run-away cows, out-of-touch parents, a train ride, and origami newspaper hats. What do they all have in common? Black and white, of course. A story in four parts, these individual plot lines and illustrations seem to be completely disconnected, but pay close attention to the details. They have more in common than you might first appear. Macaulay, D. (1990). Black and white. Boston, MA: Houghton Mifflin Co. The illustrations tell the story. Much like Brian Selznick’s The Invention of Hugo Cabret the text seems to accompany the pictures rather than the illustrations merely decorating the text. The key to finding the connection between all four plotlines lies in the title itself. With strategically placed clues, a black mask, a curious squirrel, a newspaper hidden in a bag, David Macauley illustrates four comedic stories about imagination and exploration. Each storyline utilizes a unique style to set it apart and contribute to its tone. When combined, the result is a fast-paced, tightly-woven narrative. Burns, M. M. (1990). Black and white [Review of the book Black and white]. Horn Book Magazine, 66(5), 593-594. This text lends itself very well to lessons on predictions and inferences. 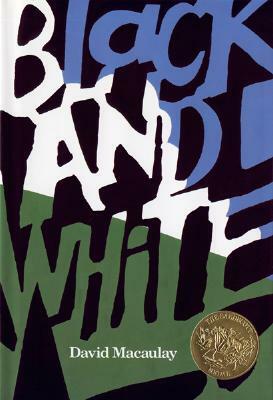 Students can view the first page, and stop to make predictions based on the inferences they draw for each of the four story titles, “Seeing Things,” “A Waiting Game,” “Problem Parents,” and “Udder Chaos.” Following a brief discussion of using clues to “read between the lines” of the text, they can stop to periodically check their initial predictions and modify them based on new clues they find in the text. This entry was posted in book review, SLIS 5420. A visit to Nanny and Poppy’s begins with a window. One little girl creates memories with her grandparents on either side of the hello, goodbye window at the front of the house. From special oatmeal in the morning, peering out at the garden, to waving to special guests like the Queen of England and the Pizza guy, the little girl knows that this special window is “right where you need it.” Trips to her grandparents house are framed through the window complete with memories and dreams of having her own “hello, goodbye window” someday. Juster, N and Raschka, C. (2005). The hello, goodbye window. New York, NY: Hyperion Books for Children. Although the setting was very different from my own memories, I was immediately transported to my childhood and my grandparent’s front porch swing as memories of my own “Nanny” and “Poppy” swirled around me like the finger-painted style of this book’s illustrations. The story with its nostalgic accounts of a young child’s visit to her grandparents’ house are brought to life through the pastel, watercolor, and crayon illustrations, reminsicent of a child’s finger painting. The primary color scheme sets the bright and cheerful mood of the book along with the broad sweeps of watercolor to create a blue sky and swirls of crayons on various greens blend together to make each spread of pages as engaging as the text. Michael di Capua Bks. Apr. 2005. Tr $15.95. PreS-Gr 1– The window in Nanna and Poppy’s kitchen is no ordinary window-it is the place where love and magic happens. It’s where the girl and her doting grandparents watch stars, play games, and, most importantly, say hello and goodbye. The first-person text is both simple and sophisticated, conjuring a perfectly child-centered world. Sentences such as “When I get tired I come in and take my nap and nothing happens until I get up” typify the girl’s happy, imaginative world. While the language is bouncy and fun, it is the visual interpretation of this sweet story that sings. Using a bright rainbow palette of saturated color, Raschka’s impressionistic, mixed-media illustrations portray a loving, mixed-race family. The artwork is at once lively and energetic, without crowding the story or the words on the page; the simple lines and squiggles of color suggest a child’s own drawings, but this is the art of a masterful hand. Perfect for lap-sharing, this book will find favor with children and adults alike. Reynolds, A. J., Jones, T. E., Toth, L., Charnizon, M., Grabarek, D., & Raben, D. (2005). 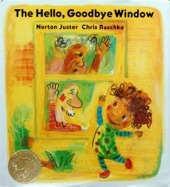 The hello, goodbye window [Review of the book The hello, goodbye window]. School Library Journal, 51(3), 174. After reading the story and viewing the artwork, students can participate in a “window walk” around campus to collect stories, details, and people they see through various windows. Then, they can use magazines, clip art, etc. to create a collage for the windows they saw. The collage window can become part of a display for this book in the library along with captions from students describing what is in the window. Several years ago as a young (cough, cough), enthusiastic English teacher, I threw myself on the digital storytelling bandwagon. With all the patienice we could muster, my students and I muddled our way through learning Microsoft PhotoStory and Movie Maker. Although rather intuitive and simple, PhotoStory lacked the dynamic movie feel whereas MovieMaker’s constant bugs and importing and rendering headaches often left us short of a final project. It didn’t dawn on me then that I could use this fun little tool as a vehicle for digital stories and multi-media presentations. As a FREE web-based tool, Animoto allows you to import photos and video, add text, and music, to create a visually dynamic video. 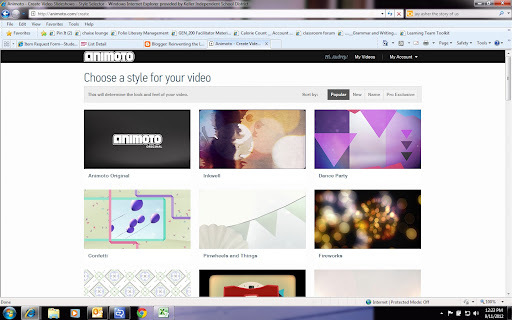 Today, we see examples of Animoto videos all over the web. Students, teachers, and librarians are utilizing this free and intuitive tool to create book trailers, present information, and produce engaging multi-media projects over a number of different topics. 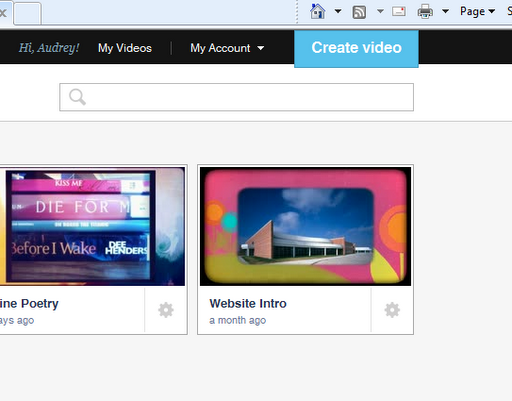 Those of us trying out VESTED can create quick “Views” using animoto as we introduce new concepts and units. Students could then use it to “Extend” their learning by creating a video of their own. Quick rendering speed–Since it is web-based, you don’t have to worry about student projects rendering on a computer from last period that you need right away. 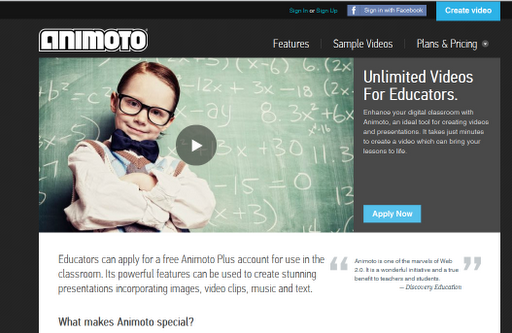 Animoto will send the creator a message when the video is available. 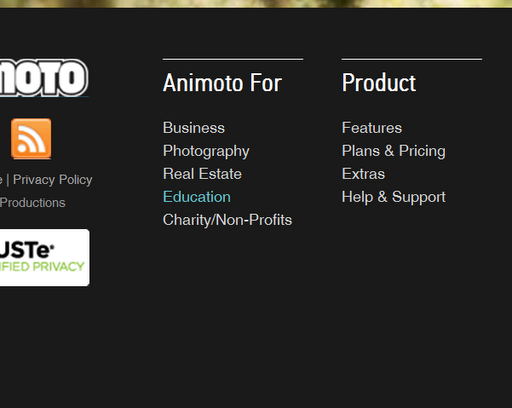 Built-in music library–Animoto provides copyright-free music that you can search for by genre. Free version for educators–with an educator account you can share up to 50 licenses with your students. Free versions are still available but the educator account includes the “Pro” designs and features. Thirty-second limit: in the free version (not the educator license), you are only allowed 30 seconds for your video. The educator license, however, does not have a time limit. Limited animation: The WYSIWYG aspect to Animoto is also a pitfall for those tech savvy creative types who want to make their own customized animation. The designs come pre-set with animation and motion. Upgrade for better video quality: The educator license allows you to download the video as an mp4. For better quality and HD, you have to upgrade to the Pro version. I find, however, that the video quality is just fine for my use. “Apply” for an educator license by providing your organization’s information. 3. Select your photos, videos, and music. P.S.– If you want to be really crazy, try inserting your Animoto into a Prezi! 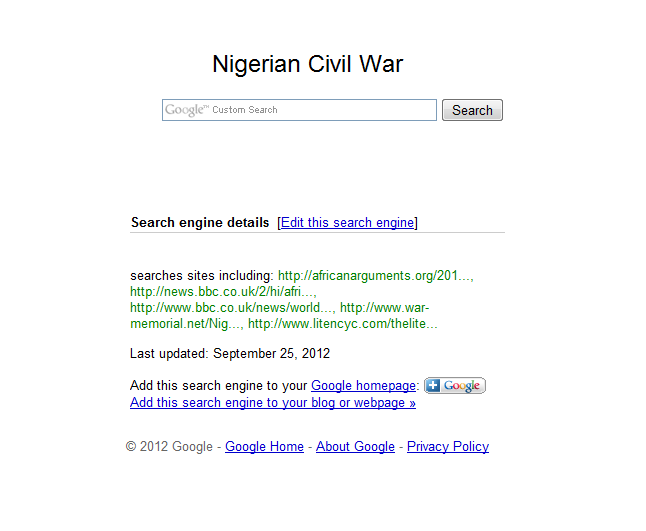 Blog about using Creative Commons and copyright-free images. How do you use digital story tools in your classroom? This entry was posted in digital story, VESTED. Book Summary: Mr. Popper, a “house-decorator,” painter, and father, dreams of exploring the Atlantic during his holiday. After writing to the famous Admiral Drake, Mr. Popper receives a surprise package direct from the South Pole, an antarctic penguin. Penguins, however, can be very lonely without other penguins, so the edition of a second penguin begins the ultimate adventure that results in ten full-grown penguins who become international stars of the stage. Through a series of humorous and far-fetched incidences (Mr. Popper must have a refrigeration system installed in his basement along with ice blocks to construct homes for his penguins), The Poppers’ love and dedication to their family of penguins delights the reader from the first “gawk” to the last. APA Reference: Atwater, R. and Atwater F. (1938). Mr. Popper’s Penguins. New York, NY: Little, Brown and Company. Impressions: With the recent film adaptation starring Jim Carrey, I was very curious about this little book. Although the plot line is far-fetched, its simplicity and quirkiness is very entertaining. As the penguins get into one snafu after another and Mr. Popper struggles to support his penguin and human family, I became attached to the web-footed creatures. The nicely packaged ending that provides a “best of both worlds” conclusion did disappoint me slightly. Hoping for some hint of a moral or lesson, I looked forward to the ending for a nugget of truth to take from the book. Instead, I was left with humorous sketches of sparring penguins and gloved pianists. 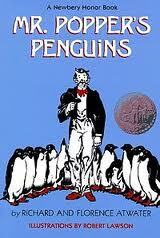 For small children, however, the penguins’ hijinks and short chapters provide a pleasurable reading experience. Farr, R. Mr. Popper’s penguins [Review of the book Mr. Popper’s penguins]. Amazon. Retrieved from http://www.amazon.com/Mr-Poppers-Penguins-Richard-Atwater/dp/0316058432. This entry was posted in book review, Newbery, SLIS 5420.